Up until the actual delivery of my first child, I was convinced I would take to mothering like a fish to water. It didn’t take long though to understand how far I was out of my league. The thing was - I actually did navigate the tasks and logistics pretty well. What I didn’t understand was my daughter herself. I could do nothing to make her happy as an infant. And believe me, I tried and tried. In many ways, nine years later, I am still trying. For a while I mostly floundered on my own. I got support from my husband and family. But other babies did not act like mine. Going to my new moms group was painful. Like going to the dentist painful but of the emotional variety. Going anywhere was pretty painful. It took awhile, but I came to realize I was going to need help. Like, a lot of it. This meant all sort of things - I was going to have to admit I needed this help to myself and others and then ask for it. Slowly, over time I did just that. This week I’m reflecting on those helpers. These are the people who co-authored my story of becoming a mother. I see now there is no way I would have made it through without them. There are many co-authors and I’ve chosen just seven to highlight this week. Some are people I know, others I’ve never met but their work has profoundly impacted my mothering experience and changed me as a person. For the better, I’d like to think. I will be always grateful to everyone who has written this story with me. 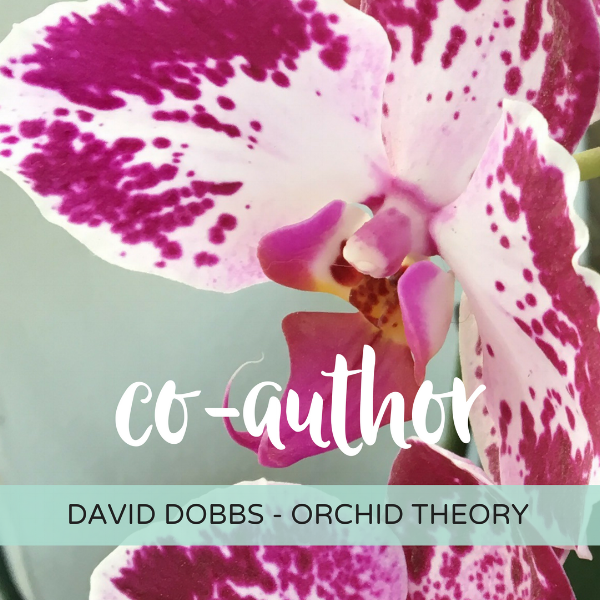 I hope seeing my co-authors inspires you to reach out to your own. I’d love to hear about them. First up is my girlfriend Dawn. Never patronizing me with "it's just a stage" or "she'll grow out of it", Dawn was able to see the big picture. She knew my Carly was different and loved her all the same. She loved both of us, even during the times when I couldn't muster love for either one of us (myself or baby). She knew Carly was rough on the outside, but that a beautiful diamond shone underneath. To put it simply: she got it. For a mother with a child who struggles with behavioral and emotional challenges - this was/is everything.